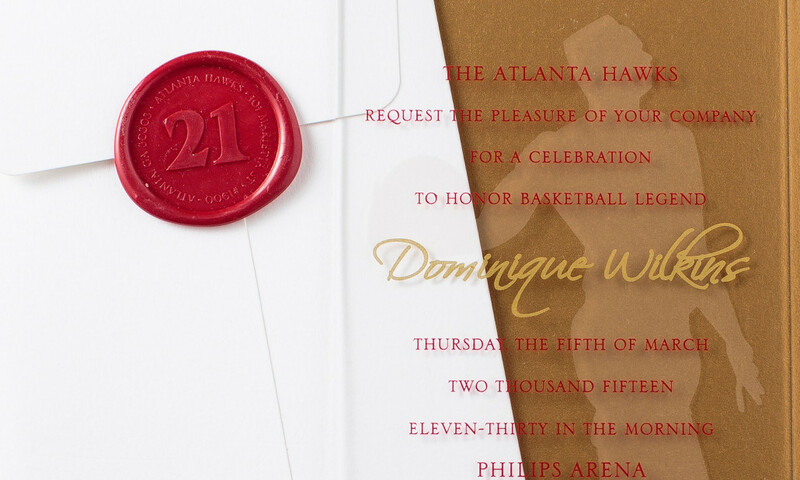 This invitation was created for NBA player Dominique Wilkins for an statue unveiling ceremony and celebration. Silkscreen printed on acrylic with his famous silhouette on the back. A coordinating red wax seal with his jersey number completed the set.